The Gastronomic experience is closely linked to both gastronomy and creativity with the innovative capacity of the people of San Juan. "If we lack the essence, we work the form." 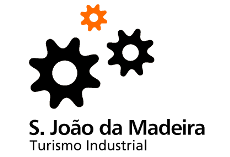 It is an experience that aims to boost the municipality of S. João da Madeira by promoting it through cooperation between various economic agents and local tourism and cultural promotion, recovering, preserving and promoting local identity by associating it with gastronomy. Nowadays, the city is known for its creativity and innovation with a past with links to the footwear and headwear industry and now offers an original experience testing the creativity of each individual, providing an action that gains shape and flavor to each touch.